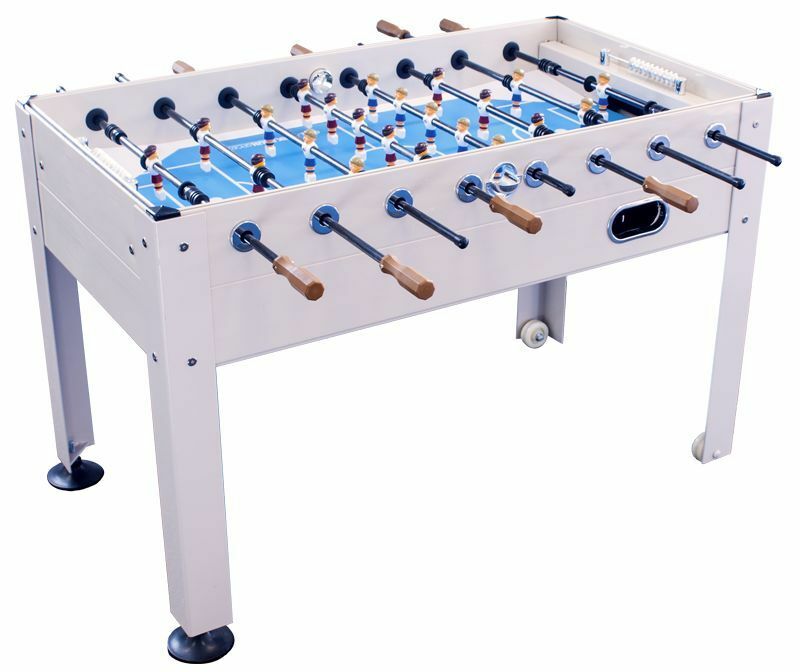 Enjoy gaming all year round with this stylish and highly durable indoor/outdoor soccer table--a great choice for use on the deck or patio as well as for use indoors. All materials used in the table's construction are protected from exposure to sun and moisture, and it includes a cover. This single-goalie soccer table includes carbon fiber player rods and an expanded performance blue poly surface. The thick, square legs include wheels for easy transport. Dimension: 53" x 30" x 35"